Upon hearing the word sacrifice, most of us think about brutal sacrificial mating attacks, but that’s not always the case. Exchange sacrifices can be based purely on positional reasons in endgames. They can be a way out of a bad position, or they may be the best way to get winning chances. Now I’m obviously not claiming that ordinary exchange-down positions are ok for you. No, no, no! A rook is better than a minor piece in most circumstances. And of course you have to calculate accurately, since you really can’t justify losing by force. Let’s look at a few examples. At the recent U16 Olympiad, I did make a (good) exchange sacrifice. I was black in this strange position. White has passed pawns on g5 and f6 that are blockaded but do tie up black’s pieces. Meanwhile, white’s bishop does a much better job blockading the g5-pawn. Black doesn’t have a clear plan of action here, and if white can get a rook to the h-file (say after Kf2 and Rh1), black’s position won’t be pleasant. Taking everything into account, I decided to play 24… Re5! here, with the idea of sacrificing an exchange on g5. This is a good idea from a practical perspective. White’s f6-pawn will still be a thorn, but I’ll be able to take care of it by playing Kd7-e6. Besides that, the only realistic problem with black’s position is that white invades with a rook and takes my queenside pawns, which will become an issue but doesn’t seem to be too concerning. While white is still the one pressing, this is a better scenario for black than if he waited around and let white proceed with his plans. In the game, I was able to successfully hold a draw after some adventures. Again, I was black in another fairly strange position. Black has a pawn lodged on d3, but white has his a knight lodged on d6 in return. How to handle this? Black is in check and obviously has limited options. A tempting possibility here is to remove the knight from d6 by playing 19… Rxd6! 20.exd6 Nf5. White’s life is far from easy here. If black could simply play Nxd6-e4, he’d be dominating. Since 20.Rc1 attacking the c5-pawn is simply met with 20… Kb6, white will probably play 20.e4 Nxd6 21.e5, where black has lots of compensation after 21… Ne4, Re8, Nf5, etc. This is because black has a solid blockade on the light squares, his d3-pawn is strong, and white’s rooks simply don’t have open files to exploit. While it’s not so bad for white, black is for choice. Instead of that, I played 19… Kb6, which isn’t a bad move. It’s after 20.a5+ Kc6 21.Rc1 that I made my howler. Here I should have also gone 21… Rxd6!. After 22.exd6 Kxd6, black will have a lot of compensation for similar reasons like above. Instead of that, I played 21… Rb8? ?, preventing Bxb4, but after 22.e4 I found myself in a lost position, since I won’t be able to save my c5-pawn. I went on to lose. Looking at this game now, I’m totally shocked I didn’t sacrifice the exchange. The first time is ok, but the second time!? Those two games had some similarities. Both were fairly strange positions full of imbalances, though they were also fairly closed positions in which rooks weren’t that powerful. It was also easier for me to establish a blockade after sacrificing the exchange than to play the positon “normally” in both situations. Scanning through my games, I’m surprised how rare these positional exchange sacrifices are in my practice. 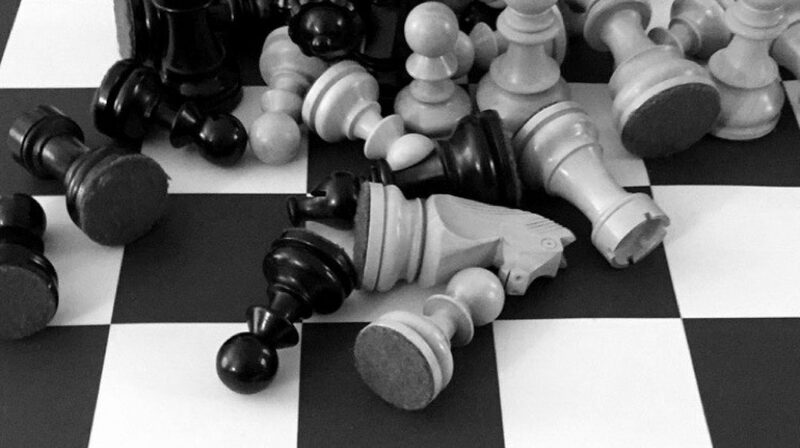 This goes to show that yes, being an exchange up is usually a good thing, but there are situations in which a minor piece and a pawn are more useful than a rook. This painful experience of mine from a couple years ago shows that a rook can truly be dominated. I thought I was doing all right in this position, but not after I got hit with the strong sacrifice 33.Rxc8!. After 33… Rxc8 34.Nxf5+ Kf7 35.Ne4, black is in big trouble. White’s knights are quite well-placed and powerful, especially compared with their black counterparts. Moreover, they’re attacking the d6-pawn. If it falls, black’s position will be in ruins. I therefore played 35… Rd8, but after 36.Ba5 Rd7, my rook is literally stuck. To be more precise, it’s totally dominated. I went on to lose this position. Long story short: positional exchange sacrifices do exist and can be quite good in various situations. If it looks like you have a lot of purely positional compensation after an exchange sacrifice, it’s worth a shot! In this French, I had sacrificed an exchange on f3 as black to reach this position. Back in those days, I was a bit of a chicken, and sacrificing an exchange was about as “wild” as I’d generally go. In this position, black has two pawns for the exchange in the form of a central pawn mass. Black’s rook on c8 is nicely placed, his knight on g6 is temporarily guarding the h7-pawn, and his queen can easily hop into the action. Meanwhile, white’s queen is fairly active, white’s h3-rook looks strange but it’s useful, and his a1-rook will join the game pretty quickly. Black’s plan is to play …e5, with ideas of e4, Nf4, piling up on the c2-pawn, etc. If white sits back and does nothing, things could turn sour for him very quickly. Looking at this position today, it seems pretty natural that white should generate counterplay. He doesn’t have to perform an all-out attack on the king; he can just keep an eye on it. This could be accomplished with a move like 18.Rf1. 18… e5 could quickly turn into a disaster after 19.Qf5!. Black will probably play 18… Qb6 instead, but after a move like Rf2, Kh1, Rg3, etc. white is doing all right. Black will most likely not get away with 19… Qxb2, and it really isn’t clear what he will do next. My opponent played 18.Re1, which is a pretty natural move, though it isn’t best. I replied with 18… Qb6. Then came 19.Rb1?. This is a move that sets alarm bells off in my IM brain. What really surprises me is that I didn’t make any comment about this move in my notes. 19.Rb1 defends the b2-pawn, but is that a serious issue in the first place? if white say plays 19.Kh1? If 19… Qxb2, white has 20.Qe2 Nf8 21.Rf3, generating counterplay against the black king. One critical resource to spot here is that 21… Qxc2?? loses to 22.Rxf8+! Kxf8 23.Qxe6 Qc4 24.Kg1. White doesn’t even have to play like this. Alternatives include 19.Rf3 and 19.Rf1 (yes, this does waste a tempo compared to 18.Rf1, but it’s still fine for white), after both of which 19… Qxb2 is actually bad for black. Black could play 19… e5 instead, but after 20.Qf5!, white’s counterplay is coming just in time. Another thing to point out is that playing 18.Re1 on the previous move, white is moving his rook right back to the awe-inspiring square of b1 in response to a reasonable move from black (18… Qb6). Wasting a tempo can’t be good, and the white rook will be doomed to babysitting the pawn. To summarize 19.Rb1: no, no, no, and NO!!! I naturally wanted to play 19… e5, but I was worried about 20.Rxh7 Kxh7 21.Qh3+, hitting the rook on c8. What I missed was that I actually don’t have to recapture on h7; I can go, for instance, 20… Nf4 21.Qf5 d3+ 22.Kh1 Rxc2, with a totally winning position. My d-pawn is close to queening, white’s king is suddenly shaky, and white’s attack is nonexistent. Wow, those pawns really are rolling. Comparing this to the starting position, it’s fairly clear that white has lost a gigantic amount of ground without getting anything real in return. I finished the game off with an elegant trick: 27… Qxf1+! 28.Qxf1 Rxc2. White has a queen for a knight and three pawns, but he is helpless in preventing 29… Rc1. Not bad! My opponent resigned. After the game, I really liked my play. True, the ending where my pawns were rolling down the board was picturesque, but it shouldn’t have gotten to that point. One thing which strikes me now is how wrong my 2014 notes to the game were. Yes, it was nice to live in the bubble that this game had been a masterpiece and that my position had been good all along. I think I didn’t understand that the position is, in reality, around equal. I’ve had a few other such “masterpieces,” where my play was far from brilliant and where my opponents greatly helped my cause. Don’t judge a position by its cover. Yes, that position was easier to play for black, but white wasn’t helpless against black’s great plans. Don’t just sit there and wait for your opponent to execute his plan. Try to mix things up. If it looks like you will get steamrolled if you do nothing, you should try to generate some counterplay ASAP. Try not to be passive. In this case, white should have tried to keep his rook active instead of dooming it to eternal babysitting with Rb1 and Rc1. Don’t automatically recapture pieces. We all do it, but once you figure out that things aren’t so good after recapturing, look for alternatives. When I was looking at lines with Rxh7, I was always recapturing Kxh7 and didn’t realize that I’m winning after Nf4.